Most businesses have a hard time attracting new high-quality leads. Even if you have a large email list, how do you know if your leads are qualified or where they fit in the sales funnel? You might have a lead-generation form on a landing page that helps you convert and collect email addresses. However, a content upgrade - can significantly increase and attract not only more leads but also win over more loyal customers. But having an email list of people who will never buy from you doesn’t have any value at all. One of the best ways to get a quick content upgrade is through free offers which can help you build your email list. But what happens when you put the two together create a highly targeted piece of content? Well, combining lead generation with content upgrades can save you time, money, and increase your sales. But what is the process you need to cover in order to gain these benefits? What exactly is a content upgrade? It’s really just more specific allowing you to target the exact leads you need. Most companies like to get anyone and everyone as a customer and that just doesn't work out as expected. Everyone is different and has different needs. So if you target a very select audience you are going to have a better chance of getting leads and sales. Your lead-gen strategy might cover a ton of different marketing angles, from Facebook ads to cold calls. Using the right content to generate leads can become an integral part of your strategy. Let's say you write a long-form blog post with a lot of rich content. Instead of just publishing the entire article on your blog, as usual, add an opt-in form to the post. But make sure you're inviting them to submit their email in exchange for free value in most cases it is a report, case study, consultation or video. This will have major benefits. Rather than going straight for the sale adding loads of free value will build up trust, loyalty and increase your business significantly. The people who hand over their email to you are way more qualified because they wanted that very specific piece of content. Which then allows you to go in for the sale. You can see a prime example of this on Chanel. This call to action (CTA) comes after a long, value-rich post going over the new summer clothing line for summer 2018. 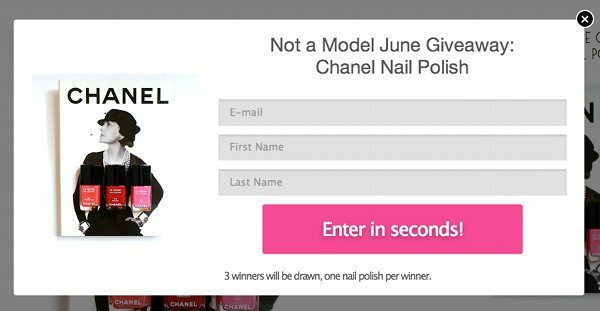 If readers want to win free nail polish they have to give over their email. This does two things for Chanel. They get women who want nail polish. Now Chanel can send emails to them selling them on other nail polish products to get more sales. It's brilliant because they get qualified emails all from using a very specific piece of content that has a free offer. Vertical Response uses a similar but different strategy on an article about email list building. It’s a little different, but it can work just as well, especially if you're trying to implement something quick. All you do is just go through your old content that is still getting views and link to your free offer. That is it. You can do this with social media profiles as well. Attach the link in your description or on your profile page. Then when you get the email or phone number to the lead you would like, you can then redirect them to a home page or other page that is relative to your audience. This is strategic. Because it allows you to qualify your visitors and then you can start getting higher conversions and more business. Which converts best, content upgrades or lead forms? For the most part content upgrades are pretty similar to lead magnets. But there’s a catch, though. A lead magnet is usually more generic and not as specific. You basically would create a lead magnet for your entire audience. Which can sometimes be beneficial and not so great at the same time. 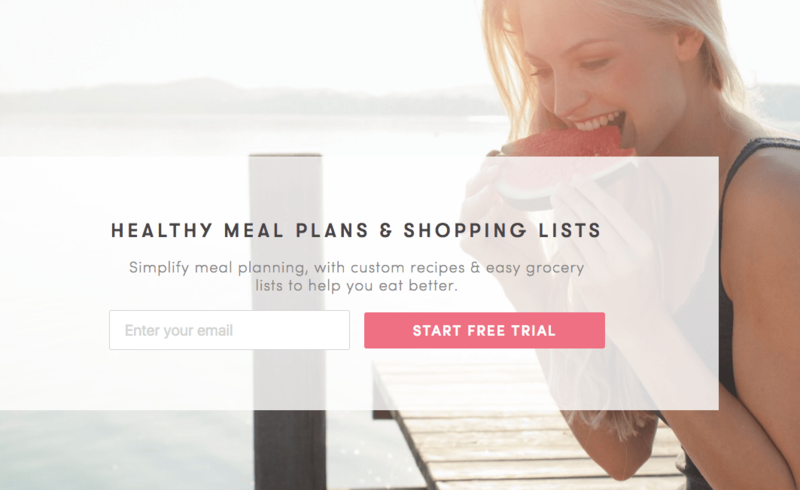 For instance, if you visit the PlateJoy website you will get prompted with an option to try their free trial. Which the lead magnet consists of recipes, meal plans, and other attractive incentives. But it is not very specific. Every person has a very different goal when it comes to health. So if they used a very specific type of diet meal plan that would convert a more qualified audience for them. This is what you need to do in order to start getting more conversions from your audience. Focus on specific groups. The same for Digital Photography School. It is very generic. You get free weekly tips and tutorials when you submit an email. However, the subjects of those tutorials aren’t clearly represented. Is this for a beginner, intermediate, or advanced photographer? If you don't get very specific your not going to get very many qualified leads. 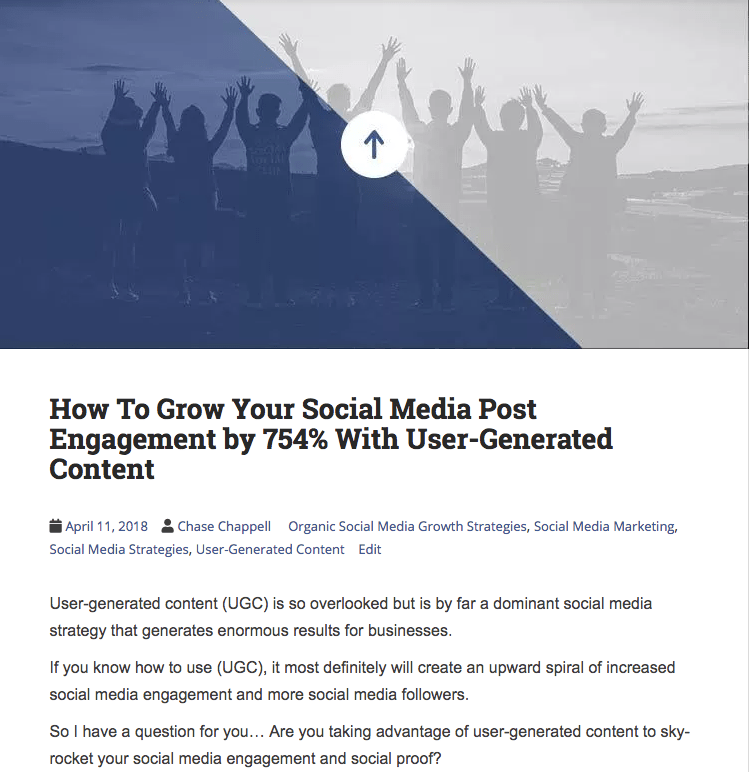 Free strategy for user-generated content campaigns. A case study on a trusted brand’s that use a UGC strategy. You’ll notice that all of these proposed content upgrades deal specifically with the topic of the blog post. I’d stick to content about social media and UGC. If you think content upgrades aren’t worth the effort, consider some of the latest data. Here are a few statistics on content upgrade performance. Brian Dean from Backlinko improved his overall site conversions by 185% using this method. A conversion rate increase just between 20 and 40 percent is incredible. Imagine getting a 185% increase you would have more customers and qualified leads than you would probably know what to do with. Even if you experience slightly less impressive conversion rates, you’ll still have a better chance of getting more sales while outdoing your competitors. What kind of content upgrades should you create? There are lots of different types of content upgrades you could use. First, before you settle on the type, though, you need to take a look at your sales funnel and ask yourself some of these questions. Where is your potential customer in the sales funnel? What problem is your potential customer experiencing? What information would help your potential customer? 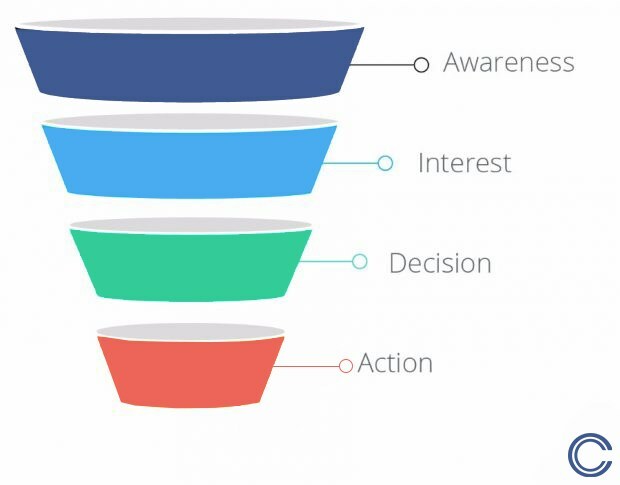 Your sales funnel might look something like this. The content upgrade you create can help them use your product or service more effectively. Which helps push them towards the sale. Your lead-generation strategy doesn’t have to revolve around a single landing page with an opt-in form. In fact, it shouldn’t. 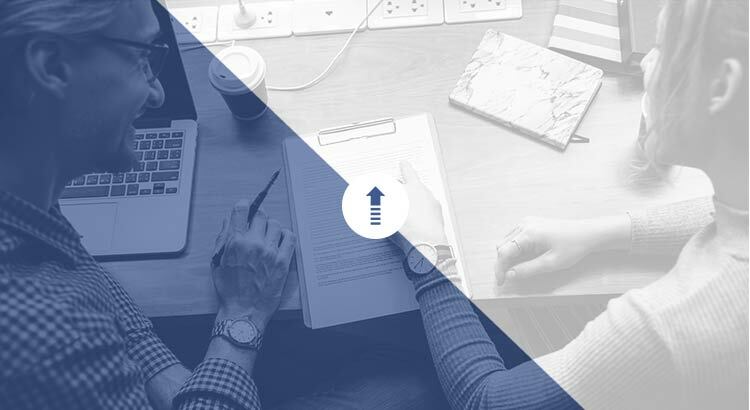 Using content upgrades to convert qualified, interested leads can increase your conversion rates while increasing your chances of making a sale. Because content upgrades are more specific and targeted than generic lead magnets. Content upgrades are pieces of bonus content that are added value to a blog post, social media or website. Potential customers can access the content for free by providing their contact information. Each and every content upgrade should serve a very specific purpose. 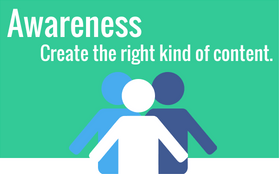 Keep your buyer personas in mind, and make sure you know where the intended audience falls within your sales funnel. Try several different content upgrades to test and see what works best. What ways do you plan to increase your online conversions through social media?